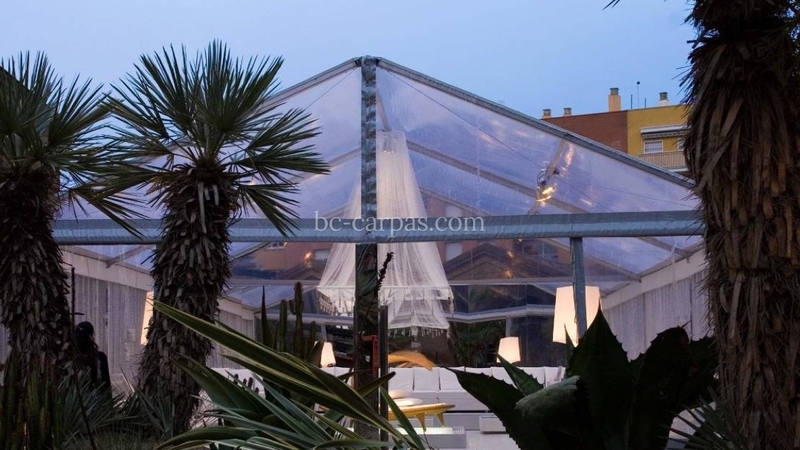 Whenever there is an event, BC Carpas put its imagination to work and meets the entire team in order to create unique, different spaces with marquees. On this occasion, we had one year to create a space at Casa Decor, which is one of the most famous decoration events in the country and where the best decorators create a space that wows attendees. In the end, an abandoned or just neglected house is turned into a decorated house worthy of a magazine spread. 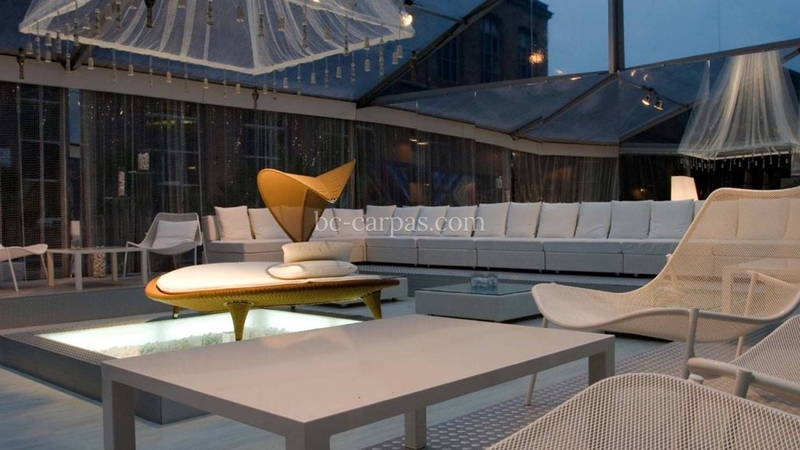 At Casa Decor, they wanted the garden to host a modern space full of contemporary furniture so to do so, we installed a transparent marquee with a large central light. The space was decorated by one of the best interior designers in Spain, who, using mirrors, pallets and fabric, created a space that was a dream come true. 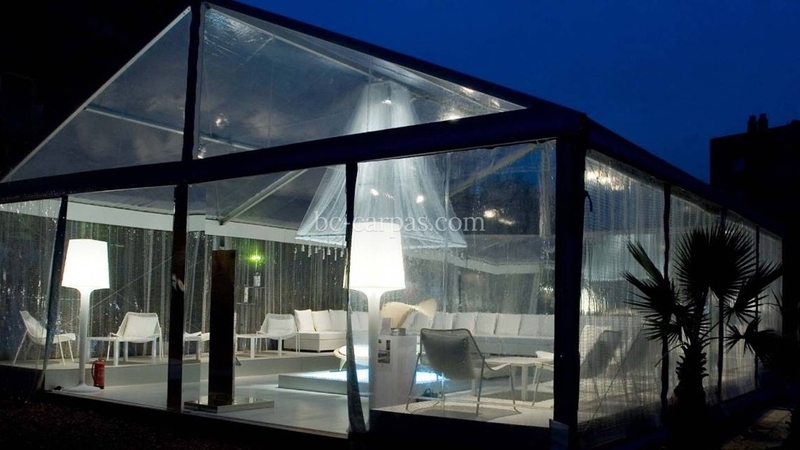 Image of the entire transparent marquee from the outside. 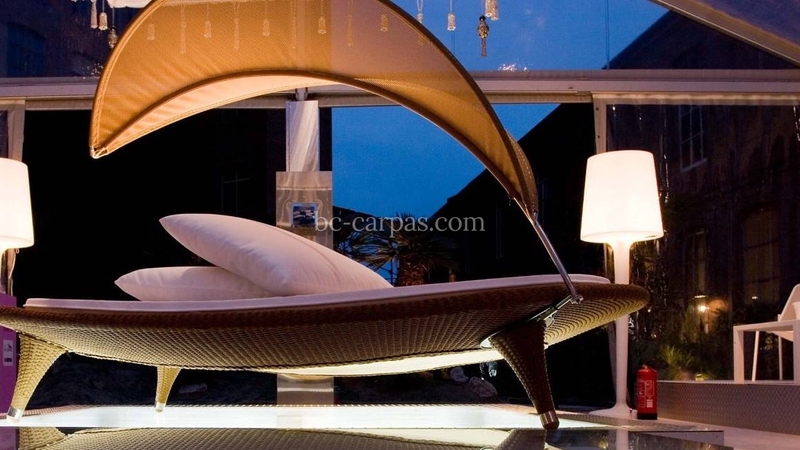 Furniture installed for the Casa Decor event where you can see the design of all the furniture below he marquee. 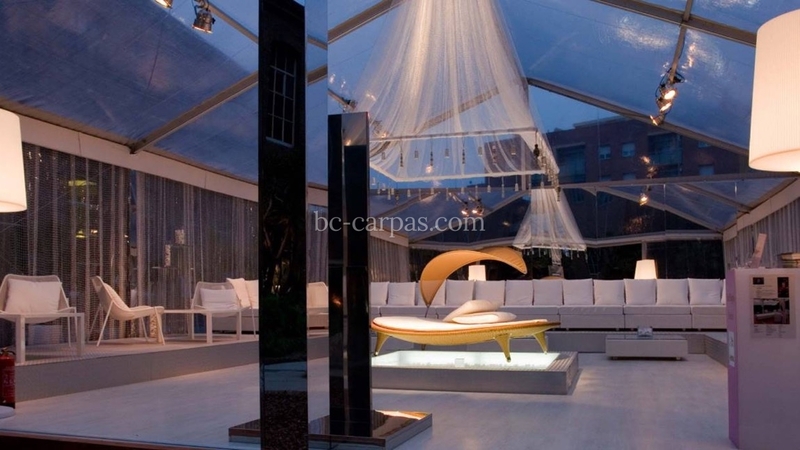 Photo of the inside of the marquee with all the designer furniture and designer lighting. Nighttime photo from outside the marquee. The modern lights flood the event marquee space. Detail of the designer furniture installed inside the marquee. 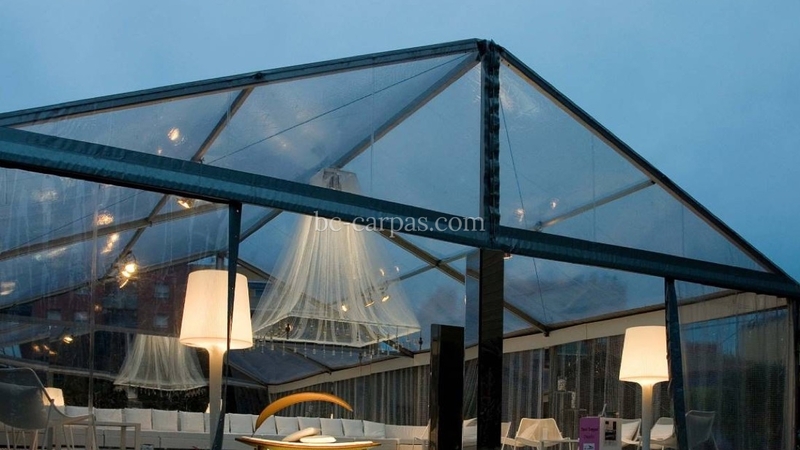 Photo of the transparent marquee for this Casa Decor event, where you can see that the desire was for the entire marquee to be a large greenhouse and that is how we did it at BC Carpas. 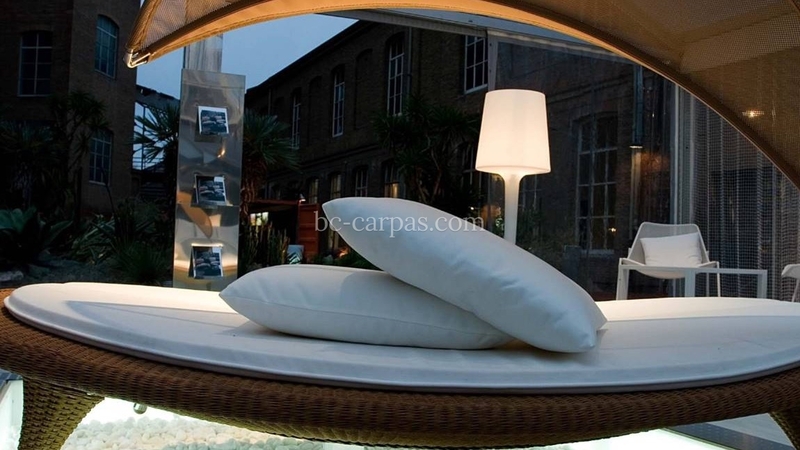 Two cushions on a designer armchair under a BC Carpas marquee. 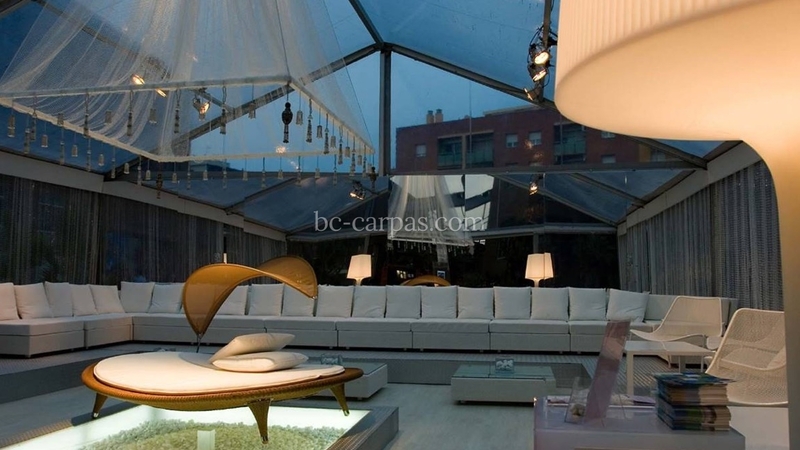 Interior of the transparent marquee with the spectacular light and all the furniture below. 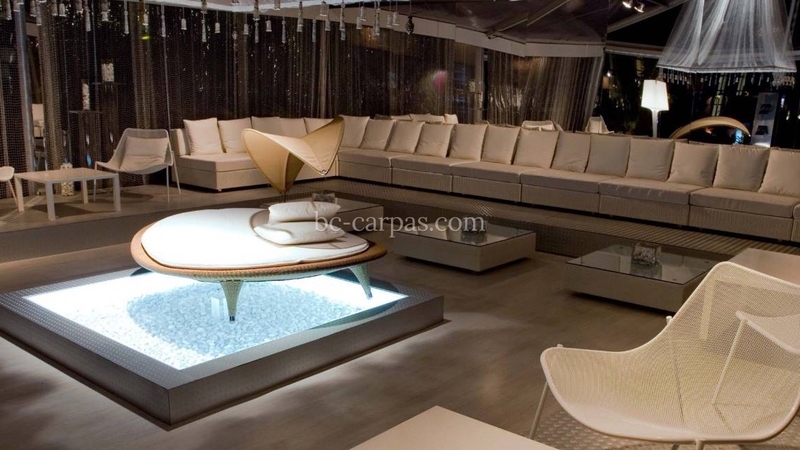 The photo shows how the lighting played an essential role, along with the furniture.